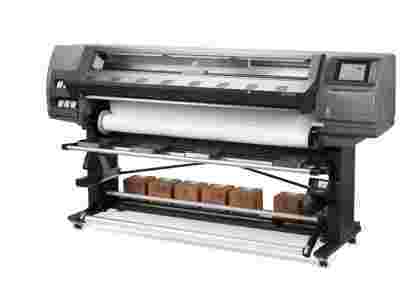 The HP Latex 370 production printer brings in a new era of high volume, 64in production latex printing. 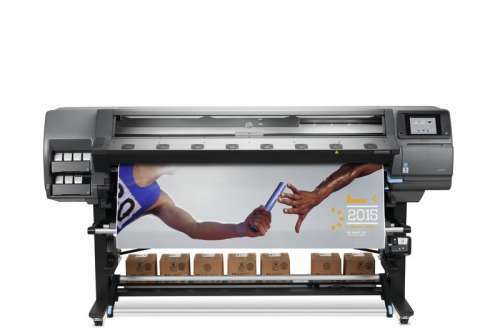 Based on the HP Latex 360 the HP Latex 370 uses 3 litre HP 871 latex ink boxes which can be 'hot swapped' ensuring true 24/7 uninterrupted printing. 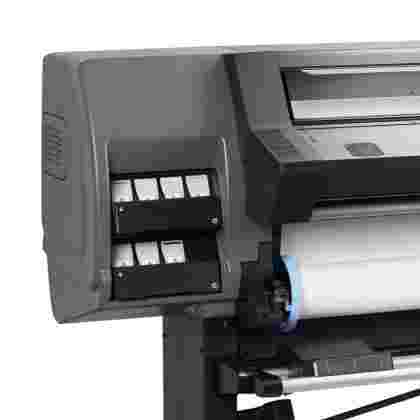 The Latex 370 also integrates with the HP Latex Application meaning users can keep track of print jobs, stay up to date on ink levels and get real time printer alerts. It was designed to create new opportunities helping users expand their business and provides significant innovations which transform printing and workflow beyond the limits of Eco-Solvent printers. 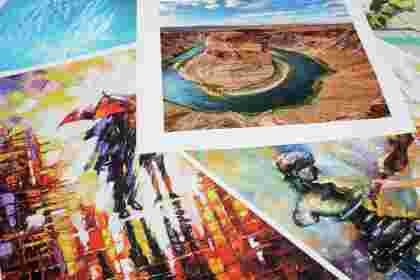 Unlike Eco-Solvent printers, Latex prints are completely cured and dried in the machine allowing prints to be finished as soon as they are on the finishing table. From textiles to wallpaper, soft signage to vinyl the HP Latex 370 produces excellent colour consistency for an edge to edge match across an ever growing range of substrates. Currently, Latex printers can produce a wide range of applications including, but certainly not limited to Wallpaper, Vinyl, Soft signage, Outdoor banners, Retail displays and POS signage. The range of compatible media continues to grow as manufactures push the boundaries of Eco-Friendly applications and the associated technology. The water based 871 Latex inks not only produce a wider colour gamut but also increase the range of applications the printer can produce. All 871 Latex inks come with Greenguard Gold certification and UL ECOLOGO certification. This provides a healthier working environment for the user compared with Eco-Solvent printers which require ventilation and special disposal. With the new era of Latex printers HP have produced an ink Optomizer, the HP Latex Optomizer interacts with HP Latex inks to immobilise surface pigments quickly resulting in higher image quality at higher printing speeds.